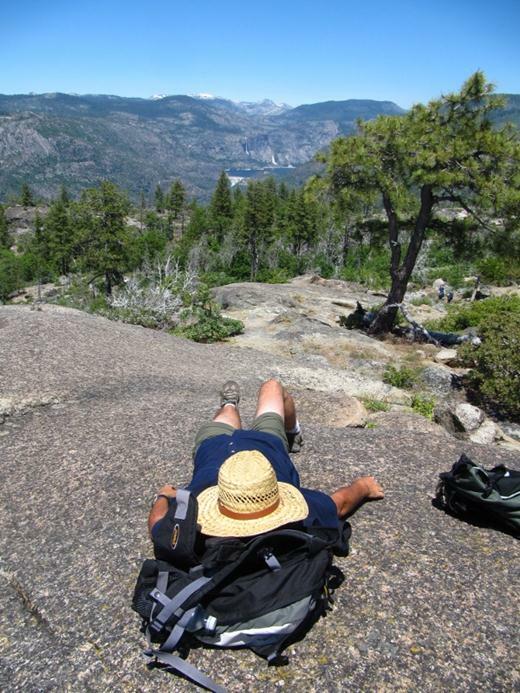 We decided to hike from Glacier Point down to the valley floor. 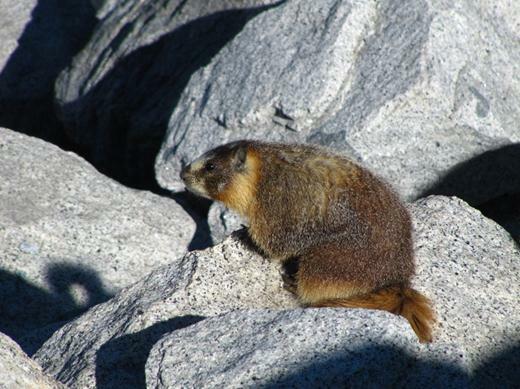 So, on our third day we took a one-way bus tour up to Glacier Point. 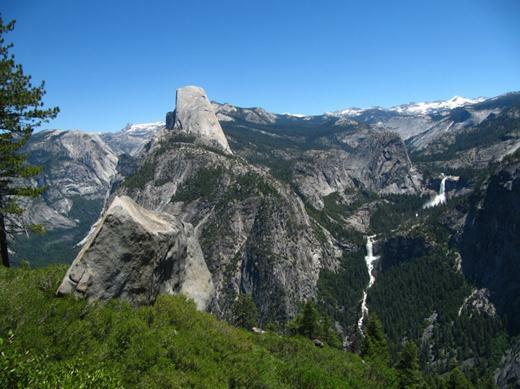 It cost $25 per person and took 1 ½ hours to get up there but it was well worth it. The views were amazing. 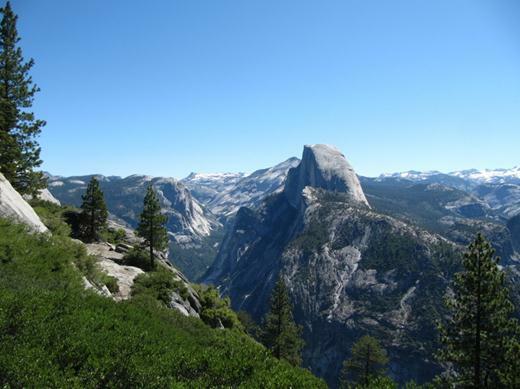 Here’s Half Dome from Glacier Point. 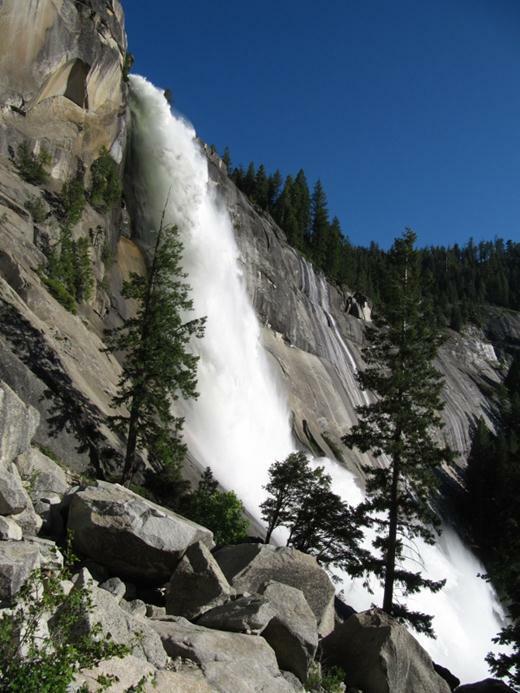 And here’s a great view of Nevada Fall and Vernal Fall below it – these are two stops on our hike down to the valley floor. 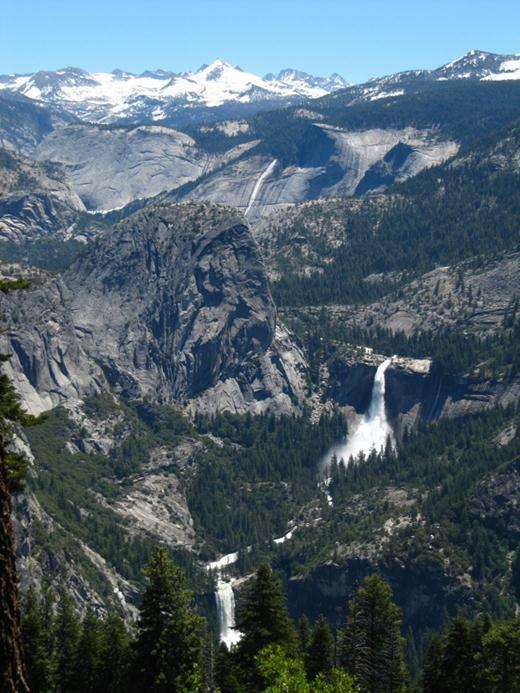 This picture combines all three – Half Dome, Nevada Fall and Vernal Fall. 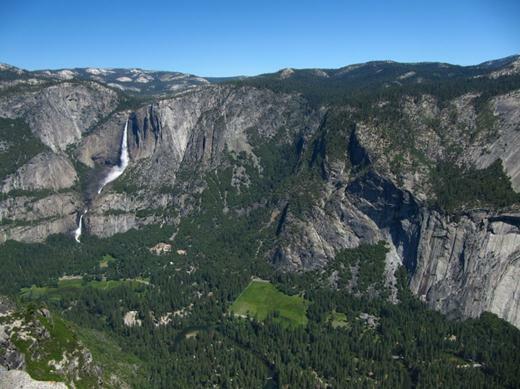 Here’s a large part of the valley floor as well as Yosemite Falls to the left. And this is a shot of the Royal Arches. 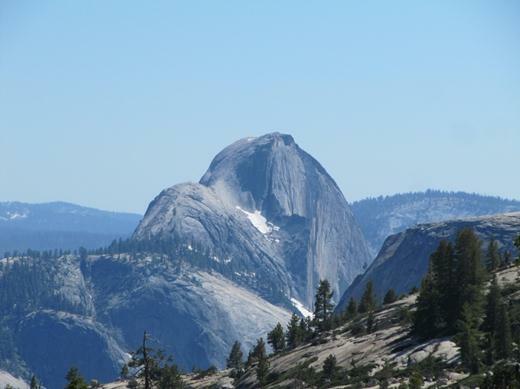 Just above the arch is North Dome (on the left) and Basket Dome (on the right). 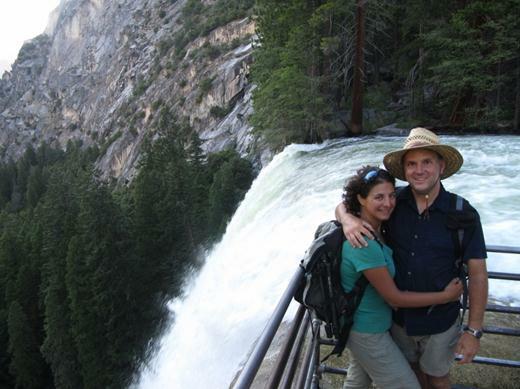 Two miles into our hike we catch a glimpse of the first water fall stop on the hike – Illilouette Fall. It was really hot so we dunked our heads into the refreshing water just above the water fall. 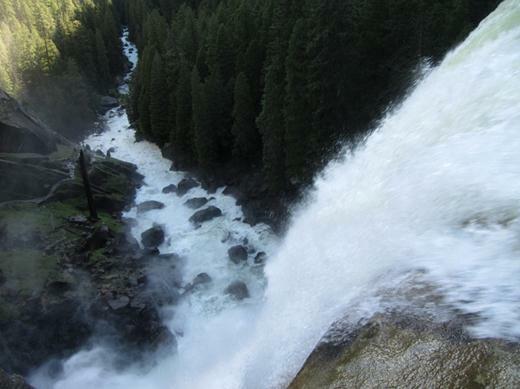 Hard to believe this water becomes Illilouette Falls. It looks even more amazing from this location. 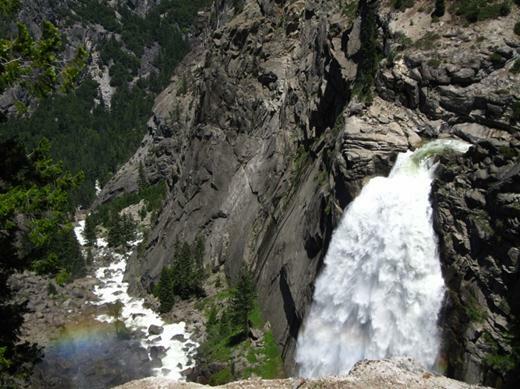 At 7 miles we reach Vernal Fall – it’s amazing. So much water! Take a look on the left hand side of the picture. 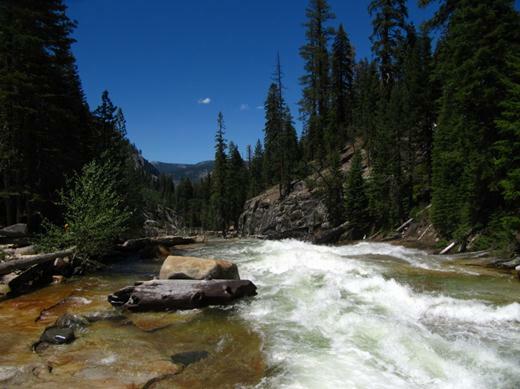 If you look closely enough you can see the Mist Trail alongside the water way. 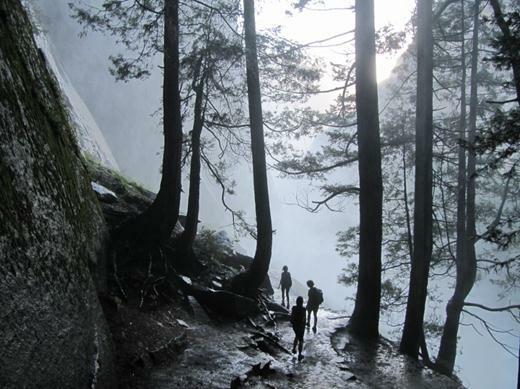 We hiked down a rocky steep trail to get to the Mist Trail and we were soaked in no time. Hiking with Marianna are Samira (in front) and Sara (in back) – sisters we met on the trail. These two were hilarious. We belted out “Singing in the Rain” and laughed a lot. 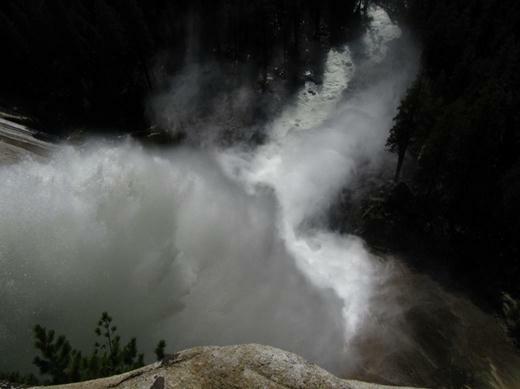 Here’s a picture of Vernal Fall from the Mist Trail. After 8 miles and about 7 hours we made it back to the valley floor. 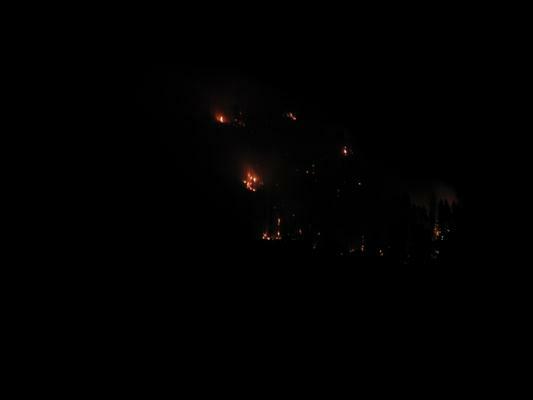 That night as we headed back to our camp at Diamond-O we saw a fire in the distance. 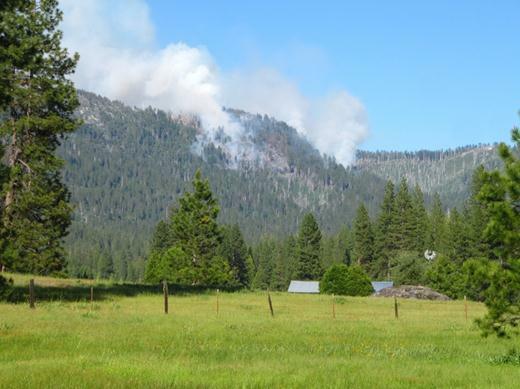 Was it a prescribed fire or a wildfire? We couldn’t tell. So, we reported it to the campground host. Turns out it was a wildfire started by a lightning strike to a tree on June 5th. It festered within the tree then sprang to life when a windy day occurred on June 25th. The fire in this picture is about 13 acres in size. By the time we left the area it reached 160 acres. 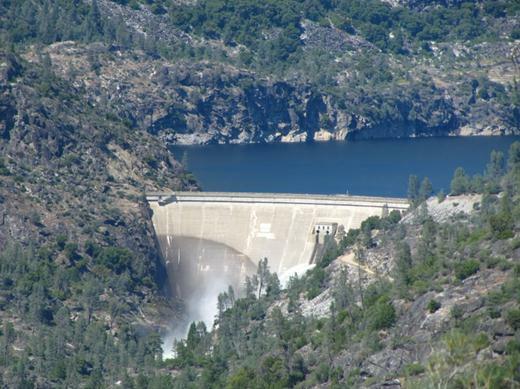 The Yosemite Wildland Fire page reported that 2 inches of rain fell on June 29th so the fire must be out! Phew! 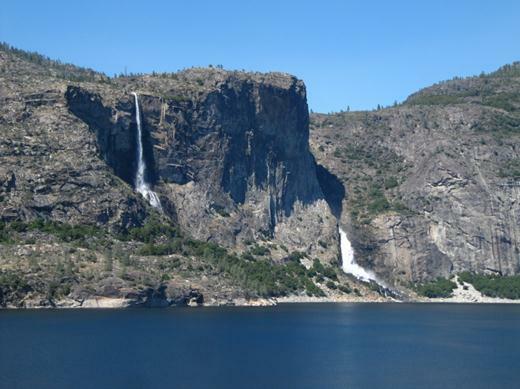 The next day we toured the Hetch Hetchy area. Our first hike was the 2.6 mile Look Out trail. 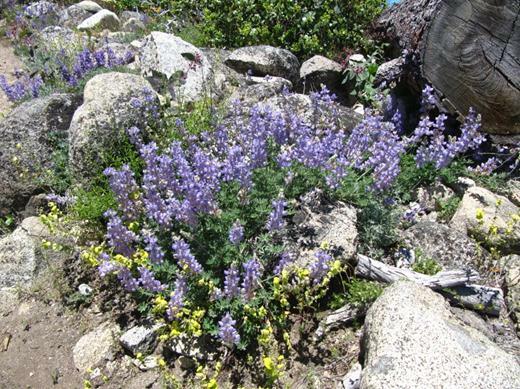 The wildflowers were amazing! 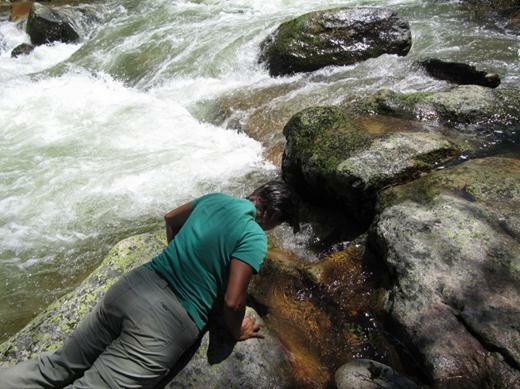 …as well as Tueeula and Wapama water falls. 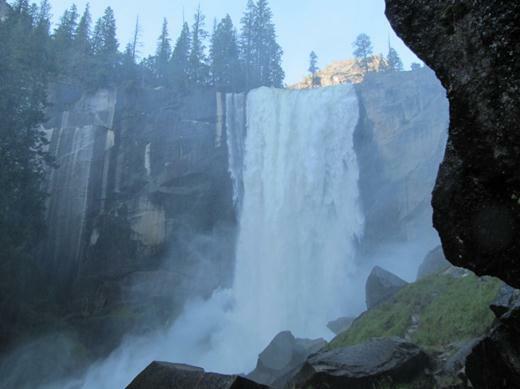 These falls are over 1,000 feet tall! 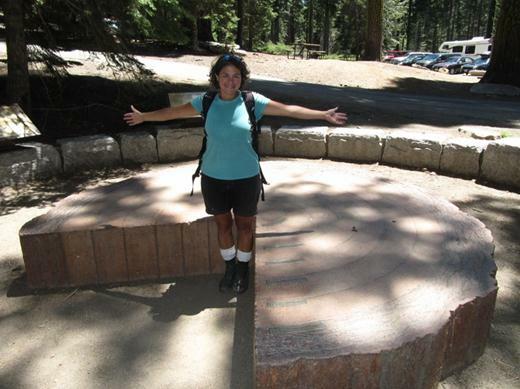 On our last day in the park we hiked through Tuolumne (pronounced To-all-a-me) Grove where giant Sequoias are found. How giant? Well, Marianna is standing in a cross section of a typical large tree. The bark itself is two feet thick! 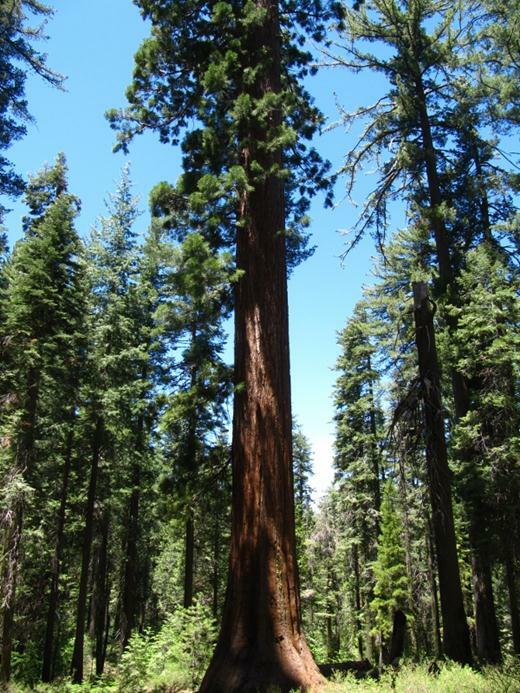 Sequoias are considered the largest living thing on the planet (by volume). 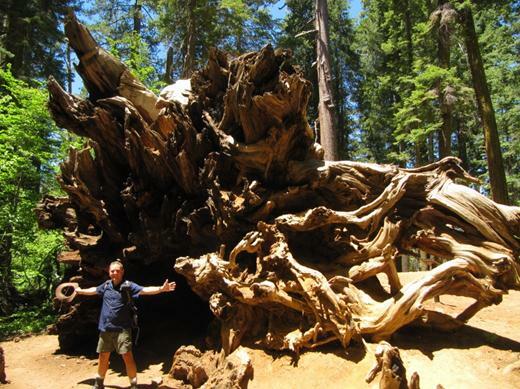 Jason shows how big a Sequoias root system can be. That’s how these giants stabilize themselves – large root systems. It’s amazing how big these trees are. After Tuolumne Grove we started our trek across Yosemite to its East side through Tuolumne Meadows and through Tioga Pass. 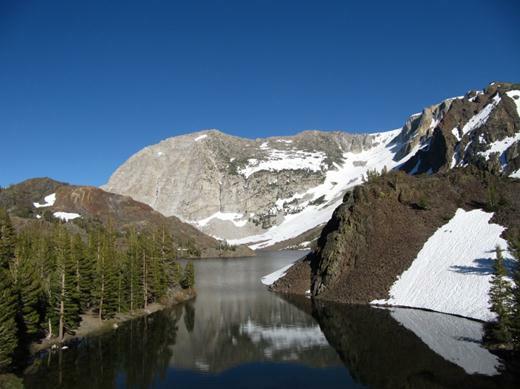 The Tioga Pass is at 9,943 ft (3,031 m) and winter is JUST starting to lose its grip in late June. 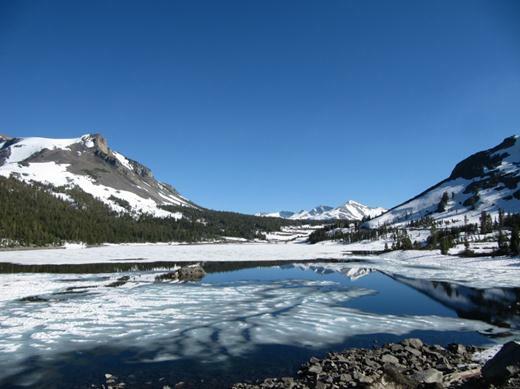 The Tioga Pass opened a month late due to the 200% snow fall they had this past winter. 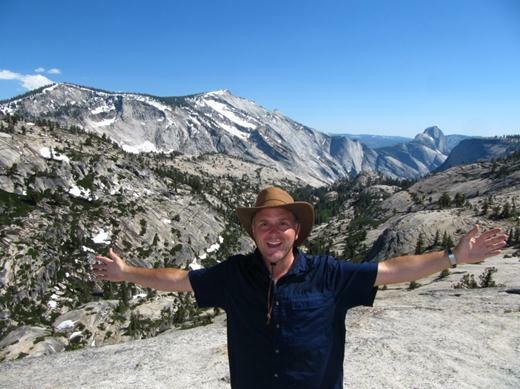 …the view of Half Dome is good enough right where we are. 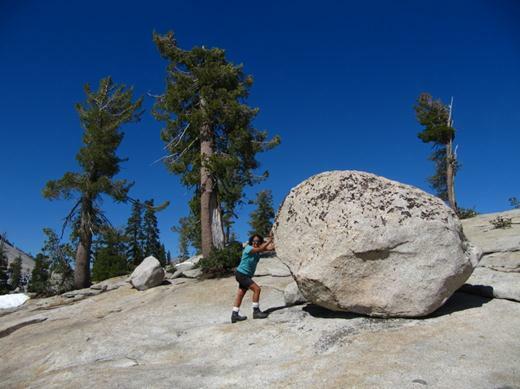 We also saw glacial erratics – large boulders dropped by glaciers. 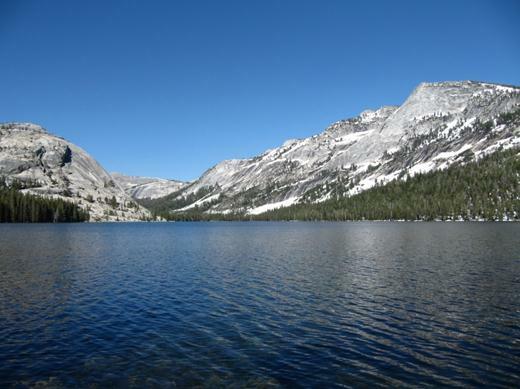 Tenaya Lake made a beautiful stop for lunch. 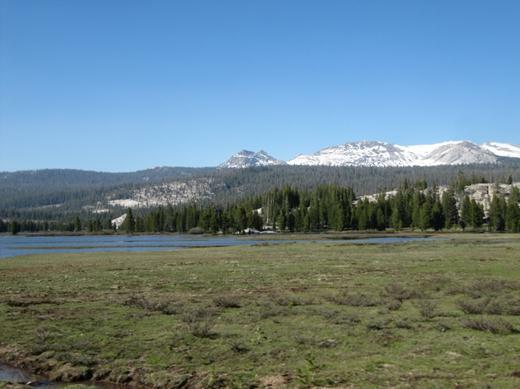 At last, Tuolumne Meadows! Not yet in its full wonder of spring bloom as winter is very late this year. Look a new tree! 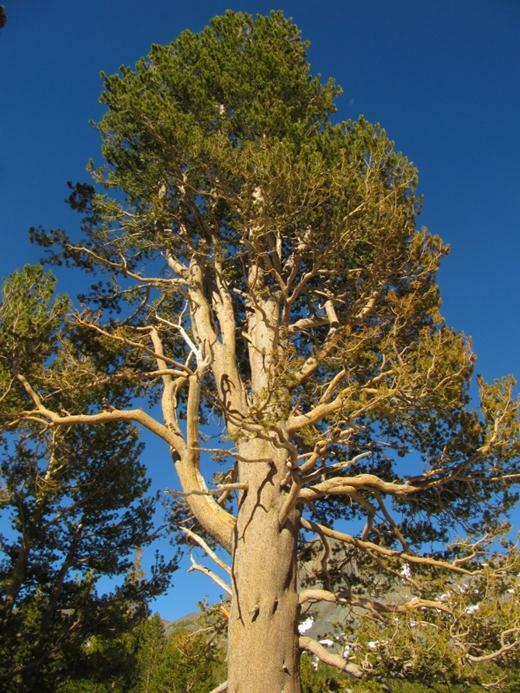 White Bark Pines – a type of Lodge Pole Pine. After driving most of the day we finally made it across Yosemite and exited out the east park gate. Cheers to our new favourite park! 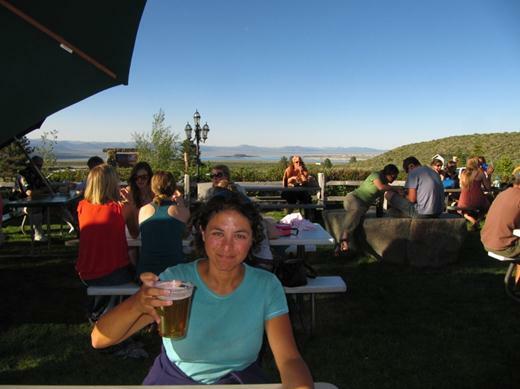 By the way…that’s beer Marianna’s holding….at the Mobile Gas Station! This countryside is so desolate that fuel and food stop are few a far between so this gas station just outside of the east Yosemite gate had it all… gas, propane, a dump station, a food mart, and best of all an amazing restaurant with great food, craft beer, and live music on an open patio overlooking Mono Lake. It was a great end to the Yosemite adventure. 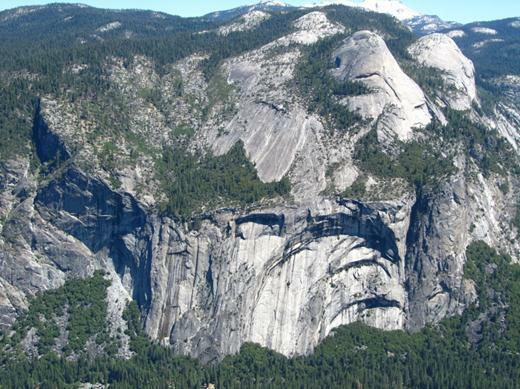 So, how do you top an experience like Yosemite? Well, hitting the slopes could do the trick. Next up, Mammoth, California.